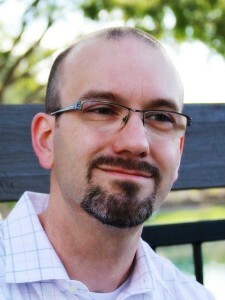 Guest blogger, Joshua Abbott, is an Assistant Professor in Arizona State University’s School of Sustainability. Abbott is an expert in environmental and natural resource economics, including fisheries economics and policy. A recent assessment of the Bering Sea red king crab and snow crab fisheries finds that the majority of working crew have benefitted from the transition to catch shares in the first three years of its implementation. The peer-reviewed article, coauthored by James Wilen, Brian Garber-Yonts and I, is published in the current issue of Marine Resource Economics. Historically, over 200 vessels competed for the annual crab catch, leading to “derby” fisheries in which an entire year’s quota was exhausted in the space of a few days. This type of management led to boom and bust cycles, which often had negative environmental, social, and economic consequences. Starting in the 2005/2006 season the derby was supplanted by a catch share system in which each vessel has an individual allocation of quota and can adjust this allocation by lease arrangements or permanent transfers with other quota owners. Seasons are now two to three times the typical derby season and thus a larger number of short derby fishery jobs have been replaced by a smaller number of longer, safer, more stable and often more lucrative positions. When measured in total crew hours engaged in fishing, employment has remained stable following implementation of catch shares. Crew wages, as in many fisheries around the world, are determined using the “share” system. Payments are based on a defined share of fishing revenues minus costs such as fuel, food and bait. Comparisons of these contracts suggest that the crew’s share of net revenues has been fairly stable since catch-share implementation – hovering around 40% for a typical vessel. However, this stability masks important, and generally positive, changes in pay for crewmembers relative to before 2005. The seasonal pay of crew has increased substantially. The analysis found that the median crew member on king crab vessels earned 66% more in a season than in prior seasons while approximately 87% of crew saw their wage rise. 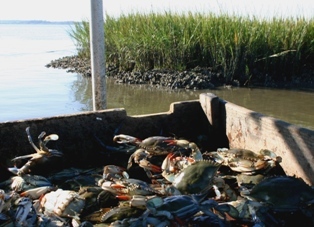 These increases occurred despite large coinciding price decreases for crab, which were largely driven by market factors unrelated to the catch share program. When this decrease in value is controlled for (by measuring pay in terms of the quantity of crab), increases in seasonal crew wages are even more dramatic – 122% and 109% for the median crew member on king crab and snow crab vessels, respectively. These increases in pay are partially attributable to the stacking of quota on fewer vessels over longer seasons. However, the daily “wage” of crew has also risen for many crewmembers. For instance, the daily pay of a typical king crab fishermen rose by 12% after catch share implementation. And despite the new cost of deducting the cost of quota from net revenues (a product of recognizing the value of the crab stock in fishing profits), daily pay has remained relatively stable and crew have prospered. 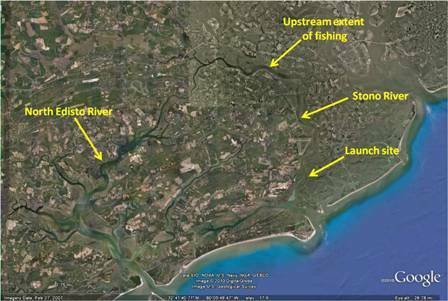 Many of these changes originate from improvements in the productivity of fishing. Live landings of crab per day have improved by 16% for snow crab and 38% for king crab since the implementation of catch shares. Research into the source of these productivity improvements continues, but some of the credit lies in the dramatic reduction of time spent waiting in port to offload crab. The coordination of delivery dates and slowing of the pace of fishing made possible by catch shares have increased the proportion of time actually spent fishing. Catch share management has also substantially changed the nature of a fishing job. Since each vessel knows its annual allocation of crab prior to the fishing season, the prospective wage is far less uncertain to crew than in the derby fishery where luck and skipper skill once played a large role in one’s prospects. Risk to life and limb has also decreased considerably, as skippers avoid fishing in the worst weather and often work their crew for fewer hours in a day. While these fisheries are still adapting to catch shares, the negative scenarios often levied at this catch share program have not materialized. Rather, the early evidence is that catch shares have provided longer, safer, more reliable jobs to fishermen that are often more lucrative than those available before the management change. This assesssment came in a five-year review of the catch share program by the North Pacific Fishery Management Council which is meeting in Anchorage. Prior to catch shares, hundreds of boats would race to load up with crab in wild winter conditions in a fishery that would lasting mere days or weeks. 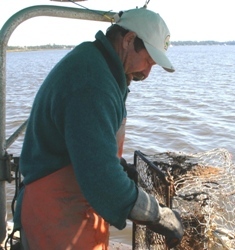 Under the catch share system, each vessel has a set amount of crabs to catch during extended seasons. Crabbers claim their “grounds truth” proves that the new way of crab fishing is achieving the goals set out by managers and industry five years ago. The problems associated with the crab fishery were identified in 2002 as resource conservation, reducing bycatch, excess harvesting and processing capacity, economic instability, high loss of life and injuries. The results of the five-year review released last month by Council staff concluded that the Bering Sea/Aleutian Islands Crab Catch Share Program is performing better than expected in reaching its objectives. The report also said remaining crew positions in the crab fisheries are more stable, and crew generally make better pay under the catch share program. Crabbers were pleased with the review findings, said Edward Poulsen, director of Alaska Bering Sea Crabbers, a trade group representing 70% of the vessels fishing crab in the Bering Sea. “From the harvesters’ perspective, we feel the catch share program has met or exceeded expectations in delivering against the problems it was intending to solve,” Poulsen said. Notably, the Bering Sea crab fisheries have gone from being the deadliest catch to the safest catch. 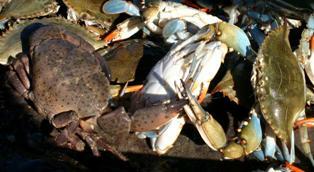 Crabbers say the slower paced fishery is far more eco-friendly, with less impact on the crab and their habitat. Pot usage in the red king crab fishery, for example, has gone from 50,000 to 12,000 pots, a 76% reduction. 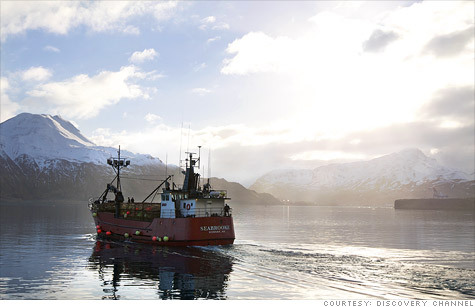 By fishing more strategically, the crab fleet uses far less fuel, cutting its carbon footprint by more than half. Poulsen said the catch share program encourages being “co-operators instead of cutthroat competitors who all benefit by working together”. The latest issue of High Country News has a good story on one type of catch share program—for crab in Alaska. I found Matt Jenkins’ take on catch shares balanced and engaging—he covers the benefits of catch shares and fairly points out some of the challenges this fishery has faced. The good news is that well-designed catch shares have been and can be designed to protect community and crew interests too. The red snapper catch share in the Gulf of Mexico and the halibut and sablefish catch share in Alaska are good examples of how catch shares have improved economics and resource sustainability while at the same time enhancing the stability of fishing communities. Catch shares are already proving that they can end the race for fish and prevent – and even reverse – the global collapse of fisheries. Catch shares present a new opportunity for fisheries at a time when many ocean fisheries and the communities that depend on them face a steep decline. As more fisheries move to catch shares, careful and creative design solutions will help improve catch shares for all the stakeholders.